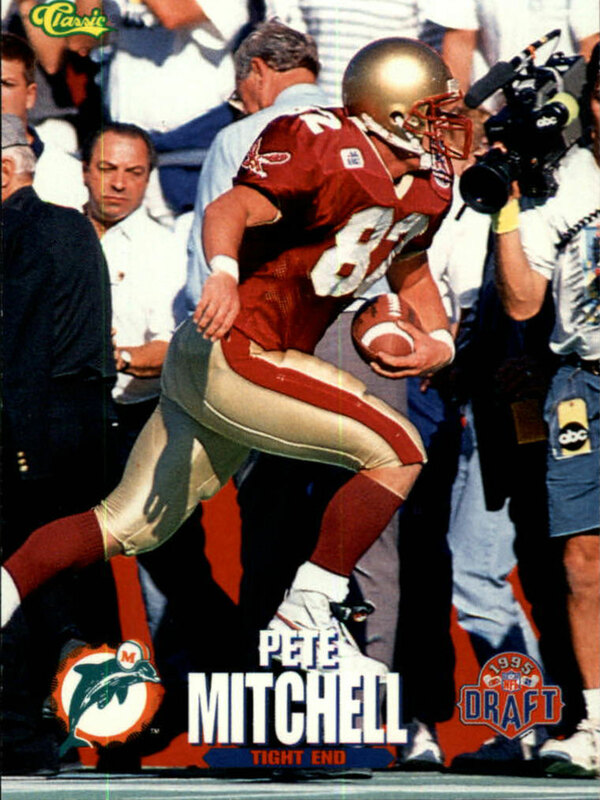 Pete Mitchell is a former NFL TE who played eight seasons with Jacksonville Jaguars, New York Giants and Detroit Lions between 1995-2002. Q: What memories do you have from the day you were drafted into the NFL? This is well before cell phones were out there, and I was up in Michigan, where my parents had a cabin. I went out and played golf with my brothers and dad. My brother, Bob, had played briefly for the Cleveland Browns and was a tight end as well. He was supposed to get drafted three years prior to me, but had had a shoulder surgery that summer… When he was in the draft they had 12 rounds instead of the seven today, and he sat through all 12 without hearing his name called. We knew how frustrating Draft Day could be, and decided to go play golf. My mom stayed home in case the phone rang, but we had a good idea of where I was going to get drafted. I was selected on Day 2, in Round 4. I had gotten a call from the Bengals, who said they might take me with the last pick in the 3rd round. I had wanted to get picked on Day 1, just to say that I could. But they didn’t end up picking me, so I had to sleep through the night into the second day. But getting the phone call from Don Shula was pretty cool, and I remember that like it was yesterday. We had to be at the house and grab the line phone with the cord! Q: What memories do you have of your first NFL game? I got drafted by the Miami Dolphins with Don Shula’s last draft class, but was traded to Jacksonville right before Week 1 of my rookie year. But in training camp with the Dolphins I was able to catch balls from Dan Marino and Bernie Kosar, two legends that I grew up watching. So even for a short period of time, it was fun to be able to play with them. I could’ve been out of the league in a couple of months, but I was in the right place at the right time. My first regular season game was a whirlwind. I got traded literally the Sunday prior to Week 1. 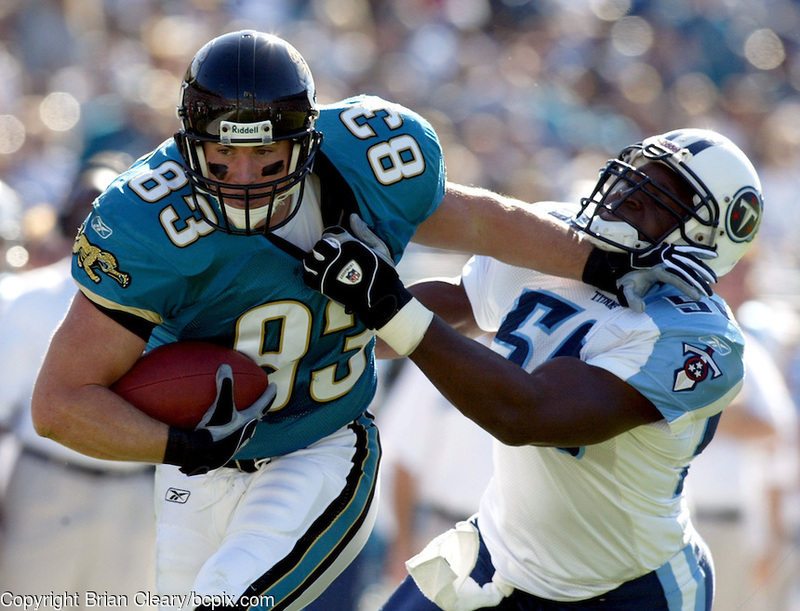 I ended up being reunited with Coach Tom Coughlin, who I played for in college – So I kind of knew what I was getting into. But driving up from Miami to Jacksonville the Sunday before a game and learning a whole new organization, my head was spinning. I remember sitting on the sidelines for the National Anthem and thinking, ‘Man, a week ago I was hoping to make a team, and now I’m starting.’ So, it was quite the day for me. Q: As you contemplated your decision to retire, what thoughts were going through your head? The decision to retire, is not really our decision. The phone just stops ringing. About halfway through my career, I had started thinking about what I was going to do next, so there was a lot of thought put into where I was going to live and what sort of business I wanted to get into. It was primarily my wife, my three brothers, my parents and some trusted friends that I had met through the years. Some of my network that I had from Boston College and my days going to school there. Nobody within the league itself at the time though. I give credit to football for a lot of the things. Your work ethic, time management, etc. Even thinking back to college and playing for Tom Coughlin, I learned about being five minutes early all the time. I think a lot of those skills you develop as a football player can translate into the real world. And they can be a big determinant as to whether you are successful after leaving the league. I think those skills are embedded you, and you go into whatever the task is, trying to find a job, putting a resume together, etc. and they innately are in you. I think a lot of those skills you develop as a football player can translate into the real world. And they can be a big determinant as to whether you are successful after leaving the league. Q: Can you tell us about your current occupation? I now work at a firm called Crescent Capital, and we manage money for pensions, endowments, foundations, etc., and I work on the sales side of that. We have our investment people who actually run the money, and I’m out meeting different plans and endowments and introducing them to Crescent. And when they are looking for whatever strategy we manage, there might be a potential fit there. Q: What path did you take to end up in the finance sector? I was a communications major in college, so I didn’t really have any financial background as far as schooling went. About halfway through my career, I got married, we started having kids, and I started taking a more serious approach to my finances. Paying attention to what they look like, and where life was headed. Talking with my financial advisor at the time, we decided that whenever retirement happened I would start working with them, and that led me into the roles I’ve had since then. Q: Knowing what you know now, would you have done anything differently during your transition out of the league? The one thing is, I wish I would’ve used my resources better. I wish I would’ve reached out to the NFLPA and learned a few more things about how they could’ve helped with the transition. Because once you get in the real world, networking is extremely important. One thing I did do is that I started to reach out to the network of Boston College, where I went to school. And I learned was that I should’ve done that a lot earlier. I try to tell guys that are in college or leaving college that they should really work on building relationships - Find those influential people in your high school, college, or just general business. Because once you get in the real world, networking is extremely important. The job I have now I would’ve never gotten if I hadn’t met someone at a former job and worked on that relationship. I knew Bahati VanPelt, The Trust's Executive Director, from his days in Jacksonville, but I didn’t really know what he was doing. I knew The Trust was new, and there are just so many organizations out there for former players, so it gets a bit confusing. 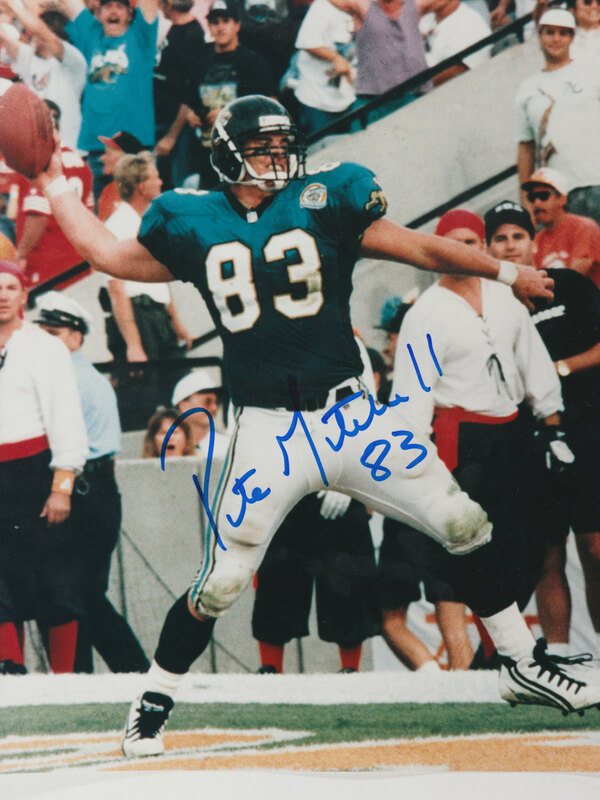 I ran into Mark Brunell, who was my quarterback down in Jacksonville, at a cross-country meet (our kids are on the same team) and he mentioned a bit about The Trust. So, I was in the area and decided to come by and learn a little bit more about it. And I hope to take advantage of some of the resources that The Trust has to offer.